When you’re building or remodeling a kitchen, one important appliance to consider is the range hood. If your kitchen has a stove and you intend to use it (which, let’s be honest, applies to the vast majority of kitchens), then a range hood is an important appliance to add to the mix. When you cook, the smoke, scents and particles released will generally hang in the air without the help of some kind of air filtration system. 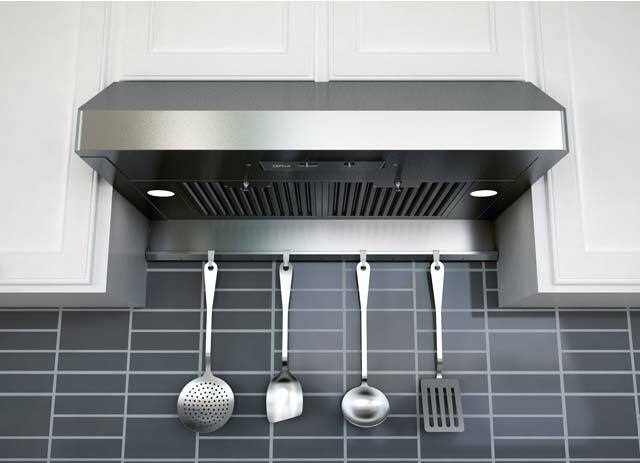 A range hood, sometimes also called a vent hood, will move all that stuff out of the room so you don’t have to worry about unhealthy smoke or unpleasant odors sticking around while or after you’re cooking. In addition to their main purpose of cleaning the air while you cook, vent hoods also provide a few other benefits. They provide extra lighting to the space you cook in, which aids in prep safety. They contribute to keeping your kitchen cleaner – if smoke gathers or spreads, it will make your walls and countertops harder to clean. They reduce the risk of carbon monoxide poisoning, which can build to dangerous levels if your cooking space isn’t properly ventilated. They can help cool off hot kitchens. 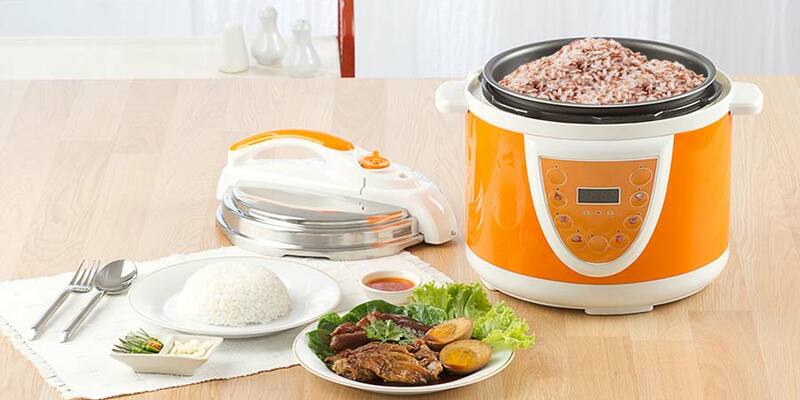 In addition to removing smoke and particles, they remove excess heat as well. Moving the smoke outside means you won’t have to worry about the smoke detector going off just because you’re cooking. Even if you don’t cook all that often yourself, having a range hood can increase your property value – it’s one less thing a future buyer will have to invest in. If you cook much at all and especially if you do any frying, a range hood is pretty much a necessity. Luckily, you have a ton of options to consider that all vary in style, price, size and features. Here’s what you need to know to find the best range hood for your kitchen. The market for vent hoods may be a bit overwhelming at first – there are a lot of different types available. For some shoppers, the type that makes the most sense will be decided by your kitchen design. If you’re replacing a range hood that’s stopped working (or that you got tired of), you’ll most likely want to stick with a similar type that fits in the same space. If you’re building a new kitchen or investing in a kitchen remodel though, you pretty much have your pick of types to choose from. Here’s the rundown of your choices. Under cabinet range hoods are one of the most common types you’ll see. They’re an affordable choice that makes sense with many types of kitchen designs. 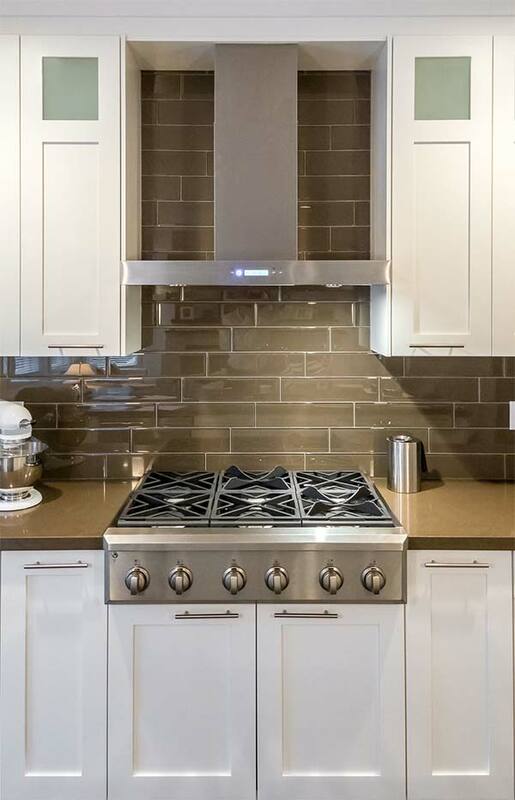 The vent hood is installed under your cabinets and above your stove or range, ideally spanning the length of the stove so it can capture all the heat and smoke as it rises and before it reaches your cabinets. Under cabinet range hoods are relatively easy to install and cost less than many of the other types of kitchen hoods. You can find some that are stylish and others are mostly designed to be functional without drawing much notice. Some under cabinet models will include ducts that transport the smoke and particles out of your kitchen to outside, while ductless versions will recirculate the air into the kitchen. Models with ducts are more effective, but cost more and will be more difficult to install. Some ranges are installed in spots where there aren’t any cabinets over them. In that case, under cabinet hoods obviously cease to be an option and many homeowners consider wall mounted hoods instead. Wall mounted range hoods are sometimes called wall-mounted chimneys, because they frequently resemble a chimney in shape. They’re wider on the bottom, ideally stretching the full length of the stove (as with under cabinet models) so they can capture everything that rises up, but narrowing to the vent that resembles a chimney. They typically cost a bit more than under cabinet vent hoods, but many people prefer the look of them and they’re the more logical choice to install over a stove that’s located in a spot without cabinets directly above it. Island hoods are very similar in design and appearance to wall mount chimneys, but are designed for installation in spaces where there isn’t a wall to attach the hood — so over a stove installed in an island, basically. Instead of the vent connecting to ducts in the wall, it does so in the ceiling and vents out the smoke that way. These tend to be on the more expensive side, but many of them are designed to be especially beautiful and sleek looking. Many remodelers may choose to go with an island vent hood for aesthetic purposes, but for anyone planning to have their stove as part of an island in the middle of the kitchen, they’re the most logical choice. Insert hoods, sometimes called power packs, provide the main functionality of range hoods, but are easy to insert into a space of your own design. If you’re aiming for a kitchen that fits your aesthetic preferences exactly, they provide you with a more adaptable option – as long as you have the help and resources needed to build out the range around the insert. They’re great for flexibility and are very affordable on their own, but usually end up being a more expensive option after everything due to design, building, and installation costs. Downdraft hoods are generally regarded as the least effective option on this list, but they’re handy for those who want their range hood to stay visually out of the way whenever not in use. They’re connected to ducts beneath the floor, so work to move the smoke and air out in a downward direction (against its natural flow up), which is understandably more difficult and probably why they’re widely regarded as less effective than other options. They’re a common choice for people with stove islands that don’t want to take on the investment of an island range hood or don’t want to deal with building ductwork into the ceiling. Every consumer will have different needs, options, and priorities that will determine which range hood is the best buy for you. These are the most important factors to keep in mind during your search. The simplest range hoods can cost you about $100 before installation costs, while the most elaborate cost several thousand before installation. Some of the factors that influence price are predictable: larger range hoods will typically cost more than smaller ones, and those with extra features or that are designed to be especially stylish will usually cost more as well. Island and wall mount hoods are some of the most expensive types available, while under cabinet vent hoods are usually the most affordable options. Many types of range hoods involve a complicated installation process, particularly those with ducts that vent the air outside. The higher cost for installation in these cases does result in more effective venting though, as duct-free models can only re-circulate the air and capture smoke and contaminants in filters rather than ridding it from the space entirely. 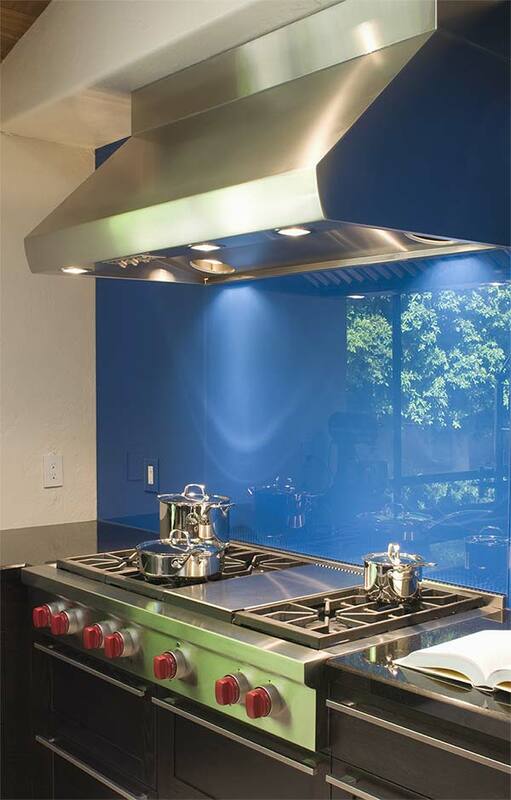 For most types of range hoods, the size should be directly related to the surface area of your cookttop. It’s not exactly a requirement that your range hood match your stovetop in size, but it’s generally best that it does so that all the smoke and food particles that drift up get caught in the hood before they get the chance to drift to other parts of your kitchen. As you’d expect, larger range hoods can get expensive, but if you’re investing in a large stovetop the extra is likely worth it. Under cabinet vent hoods will need to fit in the space you have available under the counter (although some models are designed to stick out beyond the counter to match the size of the stove), while wall mount and island range hoods are really only limited in size by how much space you have available. Make sure you measure the space where you plan to put your range hood so you get the dimensions right. The more powerful your range hood, the more effective it will be at its job. If you do a lot of heavy cooking or frying, you should definitely aim for a vent hood that offers a good amount of power. Manufacturers will provide you with a measure of the power to expect from their range hoods in CFMs (cubic feet per minute). The Home Ventilating Institute recommends thinking in terms of at least 100 CFM per linear foot of range for range hoods installed against a wall, and 150 CFM for island vent hoods. In the latter case, the vent hood has to move the air further to get it outside, which explains why you need more power. Ductless models won’t provide the same power as those that vent the air outside of the house, since they depend on filters to clean out the air instead of removing it from the space entirely. And smaller models won’t be as powerful as larger ones, generally speaking. Some basic range hoods won’t add much to your kitchen space in terms of aesthetics, but if you want to find a hood that’s beautiful and does really add something to the space, you certainly can. Many island and wall mount hoods have arresting designs that visitors will be sure to notice. And insert hoods make it possible for you to work with a designer or contractor to come up with a range hood that looks whatever way you want it to. If you’re unconcerned with the style of your range hood and just want something that works well and isn’t too visually obvious, you can find plenty of models (mostly in the under cabinet category) that fit the bill. But if you want a range hood that adds something a little extra to the visuals of the space, then many brands provide options that are likely to strike your fancy. Most vent hoods are going to be loud, at least on the highest settings. When we looked over the reviews of various models, one of the most common complaints across all of them was the noise they make. Some models at least aim to be more quiet than usual – they still make some noise, but not as much. If you have a chance to visit a showroom, you can get a feel for how loud or quiet a model is in person. If that’s out of your reach, customer reviews are probably your best bet for figuring out what to expect from the noise of your vent hood. Range hoods are either vented and include ducts that move air outside, or they’re ductless and recirculate all the air they take in while trying to remove as much of the smoke and food contaminants as possible with the help of filters. Ducted range hoods are far more effective than ductless ones, but they’re more complicated to install and will cost you more upfront. Some people also live in buildings with restrictions that won’t allow them to build a range hood with ducts and only have the option of a ductless model. For whatever reason you may choose to go with a ductless range hood, keep in mind that you’ll need to stay on top of replacing the filters and will need to clean your range hood more frequently. Most vent hoods offer several different fan speeds. This gives you the option to turn the range hood up higher whenever you’re doing some really heavy duty cooking, or keep it on low if you don’t want to deal with noise of the higher levels. 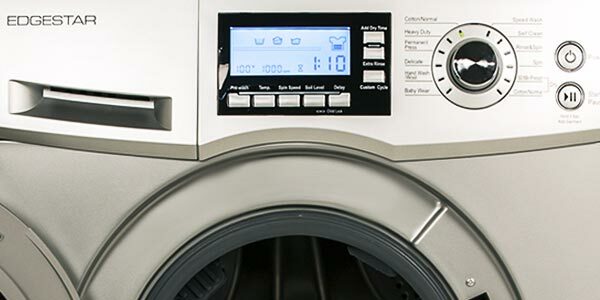 It’s definitely worth having a couple of options, but usually having two or three speeds suffices – most consumers won’t feel like they get that much more value from being able to choose between five or six. Most range hoods, particularly ducted ones, are going to require a complicated installation that involves hiring a professional. Some of the simpler ductless models are much easier to install and may be possible to add to your kitchen without professional help, but if you’re not sure whether or not you know what you’re doing, it’s best to call in a contractor. 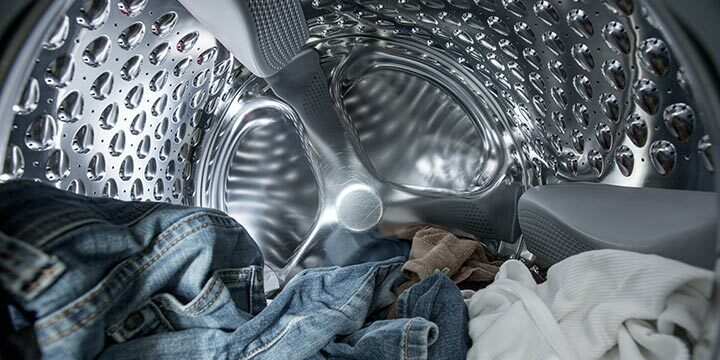 In some cases, paying extra for a more complicated installation process is worth it. As already mentioned, ducted range hoods are far more effective than their ductless counterparts. Even so, it’s worth having an idea of what to expect to be involved in the installation. The more complicated it is, the more you’ll pay for the help of a professional. Lights — Most of the range hoods you consider will come with lights, so consider what type and how bright they are. 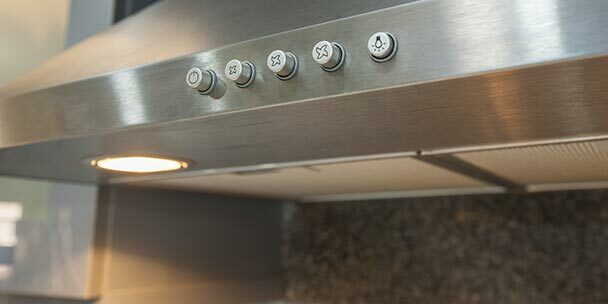 Heat Sensors — Heat sensors will automatically turn the vent on whenever the range hood senses a high amount of heat. Automatic Shutoff — Automatic shutoff will turn the vent off automatically after a certain amount of time. Filter indicator light — For ductless range hoods that include a filter, a filter indicator light makes it easier to remember when to replace it. One of the final considerations to make in your search for a range hood is brand reputation. A range hood from a brand with a strong reputation will likely last you longer and cause you fewer problems over time. To get a feel for what customers think of different brands selling range hoods, we looked at the reviews online for several products from each of the most popular brands. Fagor makes range hoods in a number of different styles. The reviews for their various products all say basically the same thing: they look good and work well, but are a pain to install. 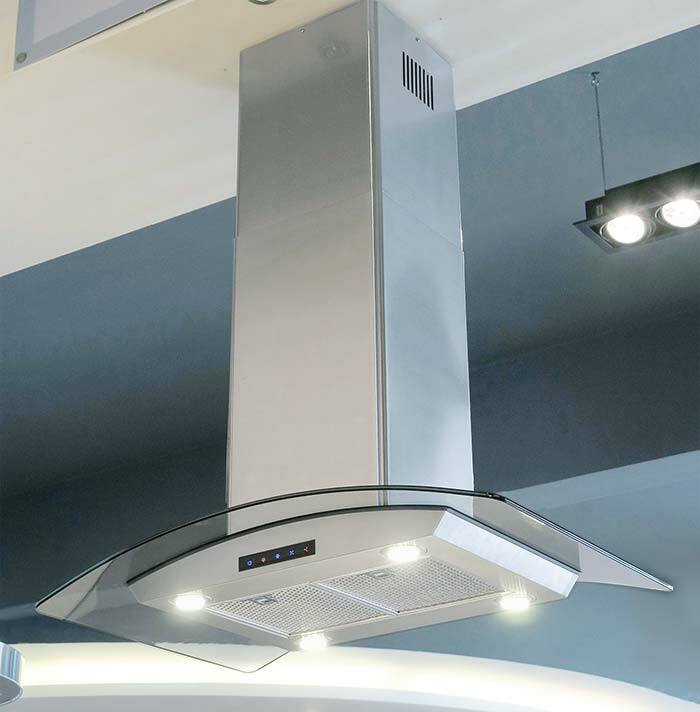 If you want a range hood that’s stylish and powerful, they’re a good choice. But you may want to consider hiring a contractor to save you the installation trouble. GE sells a large variety of range hoods in different types and styles. Customers pretty uniformly praise the different models for looking good and working well. Several reviewers talked approvingly about the different settings and features their hood offered and some said their hoods were easy to use and install. There were a couple of complaints about the noise they make (particularly on the highest setting), but more reviewers than not are happy with their GE purchase. ILVE’s range hoods don’t have as many reviews from customers online as some of the other brands on this list, but those we found were all positive. Customers say they work well, last a long time, and are easy to clean. Some found their vent hood loud, while others said it didn’t make much noise. The general response from customers is that ILVE’s range hoods are great products that are worth the price. Summit sells a wide range of affordable vent hoods that earn positive reviews from customers. 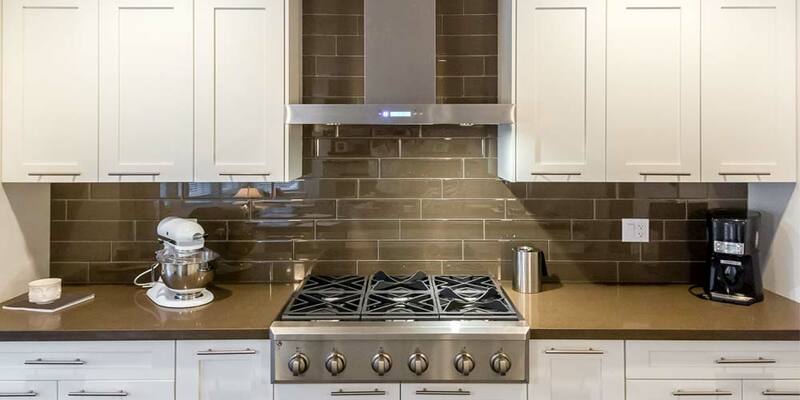 Customers say the products provide good construction for a reasonable price and many appreciated the smaller-sized range hoods Summit makes that are hard to find elsewhere. A few reviewers complained that the installation instructions aren’t very good, but other than that most reviews voiced satisfaction with the product. Whirlpool offers a number of range hoods with varied reviews across models. Most of their hoods get solid reviews for being beautiful and working well. Others received complaints for breaking easily (particularly smaller parts like buttons and light bulbs), being loud, or not offering the advertised level of power. Many customers are happy, but it’s smart to check the reviews of the specific range hood you’re considering if you go with a Whirlpool. Windster’s range hoods get solid reviews from customers for looking good and being powerful. While most of the reviews were positive, some mentioned the units being hard to install or loud and one reviewer mentioned having a hard time finding replacement parts. The overall response of customers is satisfaction though. 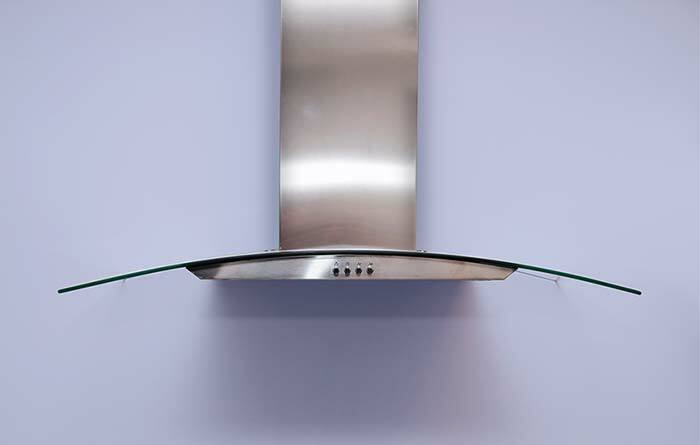 Zephyr’s range hoods earn positive reviews from customers for being extremely powerful, well made, and looking great. The one complaint that came up in reviews was that they’re a challenge to install. Once customers get it into place though, they’re consistently happy with their range hood’s performance. Range hoods aren’t especially cheap or easy additions to a kitchen, but if you’re building a new kitchen from scratch or going through a remodel, they’re well worth including in your plans. You have plenty of options and should have no trouble finding one that suits your particular needs and kitchen design. Having the right range hood can save you from having to do more cleaning, keep your kitchen from smelling, and ensure you don’t have to open all the windows every time you cook to avoid setting off the fire alarm. 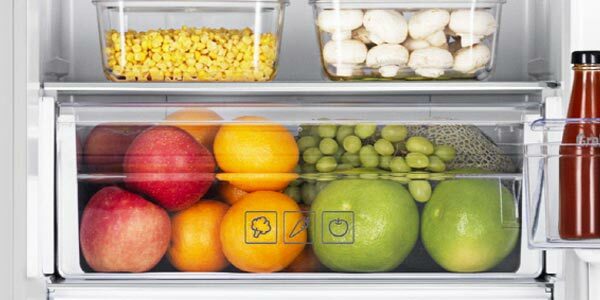 It’s a worthwhile investment for anyone who aims to use their kitchen for cooking all that often – and isn’t that the whole point of a kitchen? I have been told that due to my open floor plan, I must buy a much higher CFM than I would, if my kitchen was enclosed and I should be looking for the strongest motor to do this but… I’ve come across something that the salespeople cannot satisfactorily explain to me. I looked at a model that had a 3 spd, 260W single motor, that moved 450 CFM and operated at .07 – 3 sones. Next, it was a 6 sp, 135W dbl motor, that moved 860 CFM and on high was 6 sones. Finally, it was a 3 sp, 170W dbl motor, that moved 800 CFM, and on high was 3.6 sones. My contractor told me to select the motor with the highest wattage, as it would produce the power needed to move the greatest CFM, with the least effort. Well if that theory holds water, I should choose the 260 W. It certainly is the quietest one but is it due to it using less effort or the fact it moves the least amount of air? The other two models, move close to twice as much air with their dbl motors but the salesmen said that is total wattage. Motors which are only 67W and 85W individually, even when combined, do not possess the power of the single motor unit but wow, can they move the air and why does it seem that the stronger the motor, the quieter the unit is?. Hi Lana, we are going through a kitchen remodel right now, as well. Hoods have been the most confusing thing for me. A few things I have learned that may help you 1) the larger the duct pipe, the more CFMs you will get for the same motor and noise level. So, if you want better draw, get a 9″ or 10″ duct pipe. 2) Be sure to buy a hood that is at least as wide as the range. I always like to get one that is over 10% wider because I think it looks better. You can make your hood look wider and capture more exhaust from your range simply by having the decorative part made wider. 3) Don’t let your AC vents blow across the range. In the house we now remodeling, the AC blew right onto the cooktop. Nice for the cook but it blew all the aerosolized gunk all over the kitchen. The hood did not have a chance! Enjoy your remodel! Our kitchen is an absolute wreck at the moment but we have faith! 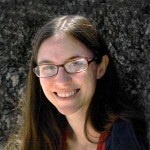 This is a very well written article. Everything is explained in a manner that is easy to understand. Kudos to the author.